Stroke is the second commonest cause of death worldwide. It is also a leading cause of serious, long-term disability. 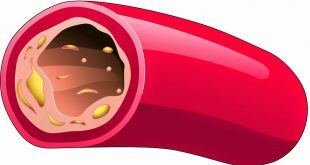 High blood pressure can cause hardening and thickening of the arteries (atherosclerosis), which can lead to stroke. The damaged blood vessel is weak and more likely to block or rupture. Hypertension is the single most important risk factor for stroke. Thus, high blood pressure is the most important modifiable cause of stroke. A stroke is a “brain attack”. Stroke is the rapid loss of brain function(s) due to disturbance in the blood supply to the brain. The impairment is lasting more than 24 hours in stroke. If the clinical symptom(s) less than 24 hours, it is defined as transient ischaemic attack (TIA). TIA is a “mini stroke” that occurs when a blood clot blocks an artery for a short time. – It occurs from a weakened vessel that ruptures and bleeds into the surrounding brain. – Ischaemia is the term used to describe inadequate blood flow to an organ or part of the body. This results in loss of oxygen and nutrition. Ischaemia ultimately leads to cell death. 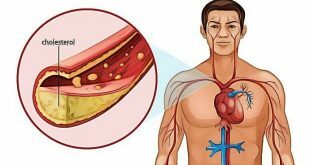 The blockage can be due to thrombosis (obstruction of a blood vessel by a blood clot forming locally) or embolism (obstruction due to an embolus from elsewhere in the body, such as from heart). Learn to recognize a stroke because “time lost is brain lost”. How A Stroke Is Diagnosed? The attending physician needs to obtain adequate medical history and physical examination to diagnose a stroke. If stroke is suspected, the doctor will order a computed tomography (CT) scan or magnetic resonance imaging (MRI) of the brain to determine whether the stroke was caused by a clot or from bleeding inside the brain. These investigations will also identify the location of the injury to the brain. Additional tests may also be done depending on the scan results. 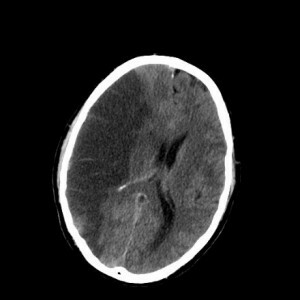 Figure 2: CT Scan Slice Of The Brain Showing A Right-Hemispheric Ischemic Stroke (Left Side Of Image). For stroke patients, usually the attending physician will do the initial investigations, such as blood test, electrocardiography (ECG) and urine test, to determine the presence of risk factors. The doctor will also assess the extent of target organ damage by pre-existing disease, if any. 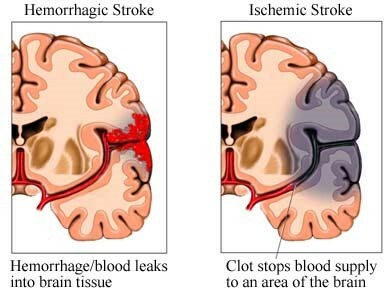 Treatment for a stroke depends on whether it is ischemic or hemorrhagic. Besides that, how much time has passed since symptoms began.Today, there are treatments that may reduce the risk of damage from the ischaemic stroke, but only if the patient get help quickly — within four and a half hours of the first symptoms. If the diagnosis by brain imaging can be made within the time limit, clot-dissolving drug tissue plasminogen activator (TPA) can be given to the clot-caused (ischaemic) stroke. tPA can stop a stroke in progress and reduce disability. 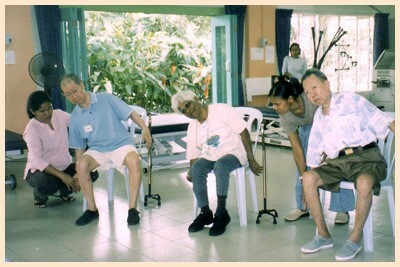 Generally, management of stroke includes lifestyle modification, medical therapy, surgical therapy and rehabilitation. This is important to improve mortality, functional disability and prevent recurrent attack. Stroke is a preventable disease. Healthy lifestyles and proper management the risk-factors can help to reduce the risk to get a stroke. Regular blood pressure monitoring and get treatment if high are one of the most important thing you should do to prevent a stroke.This is because hypertension is a major risk factor for stroke. Well- controlled blood sugar and cholesterol level can also significantly reduce the risk of stroke. Aspirin, an anti-platelet therapy, is commonly given to patients with history of ischaemic stroke or multiple risk-factors of stroke. 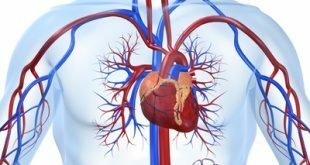 Aspirin keep blood clots from forming by preventing blood platelets from sticking together. So, it helps to prevent stroke.